Many of us aspire to own a luxury car, mostly a Mercedes, BMW or Audi, at least at some point in our lifetime. Sadly, not many of us are able to afford a luxury car even after years of hard work. 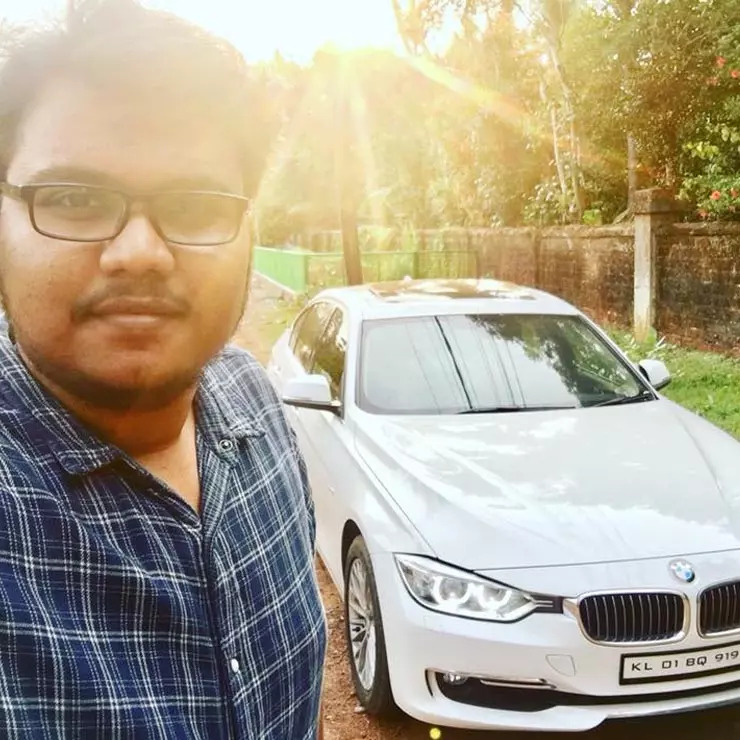 This 21-year old youngster from Kannur, however, has not only managed to buy a BMW for himself but also runs a company with an annual income of Rs 2 crore! He adds,“I was keen to learn about everything—like how websites were created and how they worked and spent most of my after-school hours in the same pursuit. You could say that I was addicted to the computer but in a good way.” Soon, Jawad learnt basics of web design through free website building apps. Using the learnings, he even created some blogs of his own. By the time he was in class X, Jawad launched a full-scale website along with his friend Srirag. “Both of us were equally passionate about everything web-related, and this was our first outing. However, we couldn’t afford a dot-com domain since we didn’t have any pocket money, so we created the site through a free domain,” Jawad adds. Next, Jawad registered his first domain name, TNM Online Solutions, and ran it as a virtual company. The first projects he took were to design websites for just Rs 1,000. He advertised aggressively on Facebook and soon, his company caught the attention of many. It is at this point in time that Jawad realized how ill-equipped he was to handle the high demand for his services. “That is when I realised that I lacked strong tech-based skills that are important for website development, and to learn more, I even visited a couple of website design companies in Kannur and saw how they worked,” says Jawad. Finally, a teacher from his school who saw Jawad’s Facebook advertisement helped him. “Her brother had been an interior designer and was in need of a website. She came looking for me and requested if I could help, and guaranteed that she would pay the full amount I had quoted,” Jawad recalls. This is when the first-ever website developed by TNM Online Solutions came into existence. “My teacher paid me the first ever remuneration I’d ever received in my life. Until then my folks at home had no clue about the company, so naturally, my mother, Fareeda, was shocked when I handed over an amount of ₹2,500 to her, and I had to explain what had happened,” said Jawad. Unfortunately, Jawad’s father, who worked in the banking sector in Dubai, had to leave his job and come back home. Jawad’s family had to face some financial hardships. “Things started going from bad to worse, and I knew there was no time to brood over what had happened. Instead, I raised the subject of starting my own company to my parents and requested my father to somehow source ₹1 lakh for the venture. Knowing my penchant for computers and proclivity for web-based work, they wholeheartedly supported my ambition,” Jawad says. Today, Jawad has clients from over 18 countries and even has an office in Dubai. He not only runs a company but also owns a BMW 3-series sedan and his own house!